An alternative to FTA’s Integrated Flight Deck Programme , is modular training. If you’re looking for a career as a commercial airline pilot, this approach still allows you to go from Zero to Frozen ATPL, but enables you to set the pace. This is a popular choice for students who want to alternate between training and part- or full-time employment. You can also simply take individual courses, such as the Private Pilot’s Licence (PPL), subject to meeting the course pre-requisites. What training modules do I need to complete to gain my fATPL? Students following the modular route complete several individual courses until they achieve all qualifications, licences and ratings for their Frozen ATPL, which enables them to apply for a First Officer position at a commercial airline. Upset Prevention Recovery Training (UPRT) (Available through our training partners, Flight Performance Training). Please note that the prices for our modular programmes are quoted based on full-time study (5 days a week). Courses taken part-time are charged at our standard hourly rates. Please contact our admissions team for more information. Read on for more details regarding the training available at FTA, or download a copy of our modular brochure. Overview: Do you want to pilot a plane for private use, or as part of your Frozen ATPL training? The EASA-PPL allows unrestricted flying throughout Europe. It is the most flexible of the PPL options, and is the preferred choice for commercial pilot students following the modular route. Duration: 8-12 weeks full-time, longer if taken part-time. Diamond DA40: £12,025 including VAT (where applicable). * Additional hours required will be charged at the normal hourly rate. * Any medical, test and CAA fees incur an additional charge. Overview: Qualify to fly between official night (30 minutes after sunset) and official day (30 minutes before sunrise). Requiring only five hours of flying in our Diamond DA40s, the Night Rating course is the perfect addition to a PPL. Duration: 5 hours of flying, 3 of which must be completed with an instructor. * additional hours will be charged at the normal hourly rate. Additional touch & goes outside of the course syllabus will be charged at our published rates. Overview: Complete the ground school training required for commercial pilots at our dedicated ATPL Ground School Academy. FTA’s highly qualified and experienced instructors use the most up-to-date Padpilot training materials covering the latest EASA learning objectives. Our ATPL Ground School is a full-time course. Each module of ATPL Theory takes seven weeks and is delivered over five days (Monday to Friday). Students then take 5 examinations at the CAA test centre. Students then take 4 examinations at the CAA test centre. Students take 5 examinations at CAA. Overview: Are you looking to qualify to fly an aircraft with more than one engine? If you are studying towards a Frozen ATPL, you will need to complete the MEP Rating course before taking the ME Instrument Rating (IR) course. We offer MEP Rating on the Diamond DA42 aircraft. Duration: 6 hours dual flight time and a minimum of 7 hours theoretical studies, followed by theory exam and flight test. 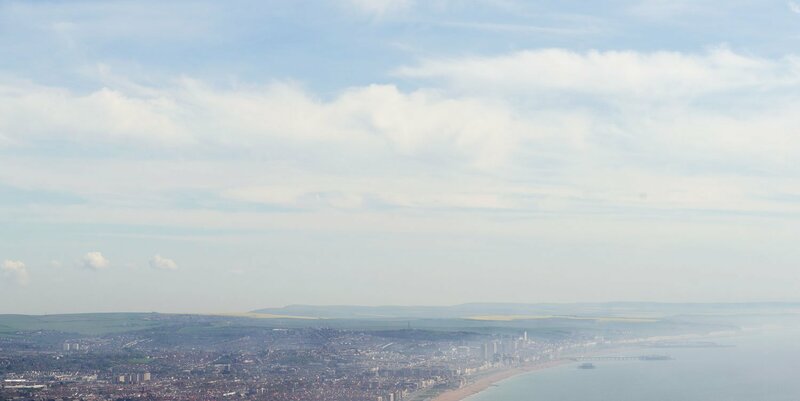 Overview: To fly aircraft under Instrument Flight Rules (IFR) in controlled airspace, students at FTA complete our comprehensive EASA Multi Engine Instrument Rating (ME-IR) course. Taught in modern DA40 and DA42 aircraft, using complex systems including FMS, EFIS, GNSS and ADC, this course is the optimal preparation for the Multi Engine Commercial Pilot Licence (ME-CPL). Duration: 6-8 weeks, depending on weather conditions and candidate skill level. This course can be taken full- or part-time.
. As well as being very competitively priced, we also offer a flexible, pay-as-you-go payment option for our ME-IR courses. * The above applies to PPL holders only. Students who already have a CPL complete 30 hours in the flight simulator and do not require instruction in the DA40. 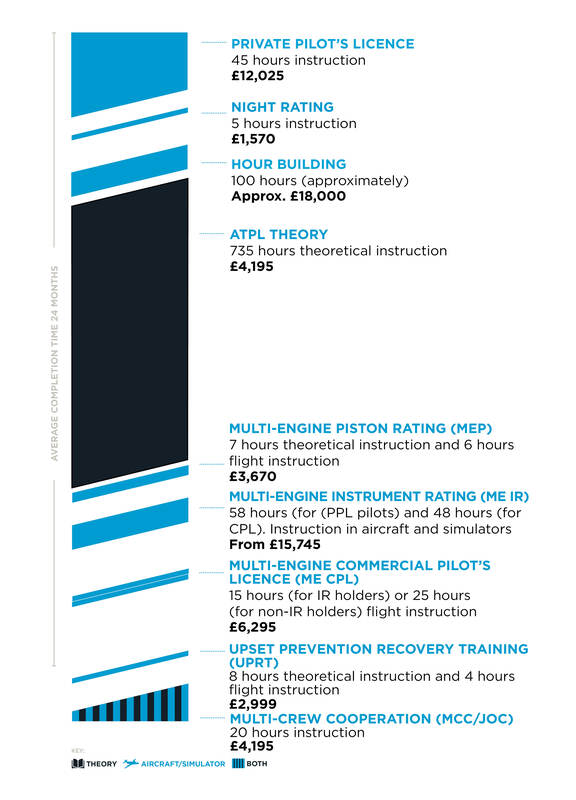 Overview: Gain your Multi Engine Commercial Pilot Licence with FTA. We provide full training on our Garmin G1000-equipped Diamond DA40 and DA42 Twin Star aircraft, coupled with a state-of-the-art and CAA-certified FNPTII Diamond DA42 Twin Star simulator. If you are completing a Frozen ATPL course, we recommend taking your MEP Rating and ME-IR course before your ME-CPL. Duration: 3-6 weeks, depending on weather conditions and candidate skill level. This course can be taken full- or part-time. * As per recent European regulations, we recommend candidates have at least 180 hours, including a minimum of 100 hours as pilot-in-command before starting the course. ME-CPL for non-ME-IR holders: £8,870 inc vat. As well as being very competitively priced, we also offer a flexible, pay-as-you-go payment option for our ME-CPL courses. Complete your MEP, ME IR and ME CPL training with us full time, and back to back (in the specified order) and pay just £26,195. Additional hours will be charged at the standard hourly rate. Additional landings are charged at our published rates. Overview: Our training partners Jet MASTERCLASS, deliver FTA's Multi-Crew Cooperation/Jet Orientation Course. The company specialise in assisting UK airlines with pilot recruitment and offer an unrivalled MCC/JOC and APS MCC course that focuses on developing the highest standards of manual raw data flying, pilot competencies and behaviours. Enhance your MCC/JOC with Jet MASTERCLASS' certified elitePILOT ™ or Airline Pilot Standards (APS MCC). Our MCC/JOC courses run throughout the year contact us for more information. We currently have a special offer which means that if you complete the MEP, ME IR and ME CPL courses with us, full time and back to back (in the specified order) you will benefit from a discounted price of £26,195. More information about this package can be found here. The price includes airport fees as per course syllabus and is based on minimum hours. Terms and conditions apply.